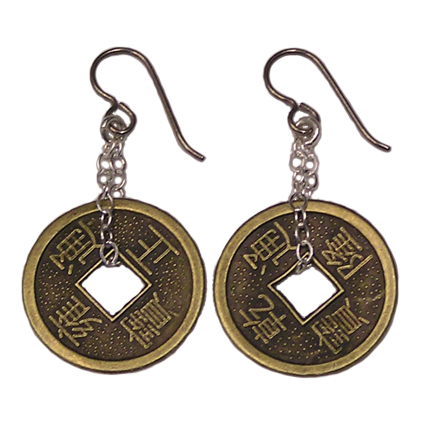 Chinese coins suspended on fine sterling silver chain from titanium earwires. These coins are considered to bring luck and prosperity. 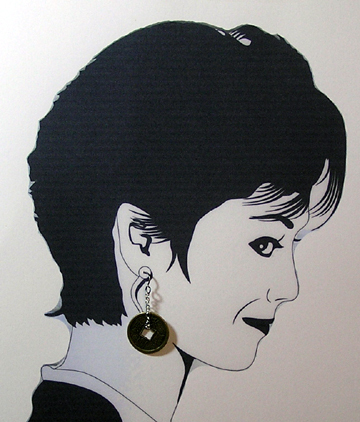 Although we cannot guarantee that these earrings will bring luck, the earrings will add a touch of "chi"